SOURCE: 1080p KOR - Thanks Ac! Very interesting. As soon as I saw the trailer, I wanted to see it. I work in the <a href="https://devmyresume.com/cv-writing/">professional cv services</a>, and through the big traffic there is no time for going to the cinema, so I will wait for the film to appear in good quality on the Internet. But the trailer is exciting. Everything I love: romance, love and music! Don't bother what the above youtube link. It's just a bunch of movie trailers and his attempt to get hits. GloriaV14 is spam so what say you now kawliga55? kawliga55 appreciate your input and diligence and efforts on something I know little about. But the dogturd GloriaL2 has done it again. Must be demoralising for you. any comments about the actual movie would be more useful that the crap that's been posted..
hey anthole it is a message forum people can put what they like as long as not slander. You wanna know about the movie download it and try or go to imdb. Its free apart from your data cost then you can cut your crap and make comment on the movie. Some people honestly. Have you seen messages on other uploads? No yes no yes? Hilarious. Ya can't spell silver...go back to school pillock. It's the Korean Subtitle version .... the title should show that! If you don't want subs, don't download this. 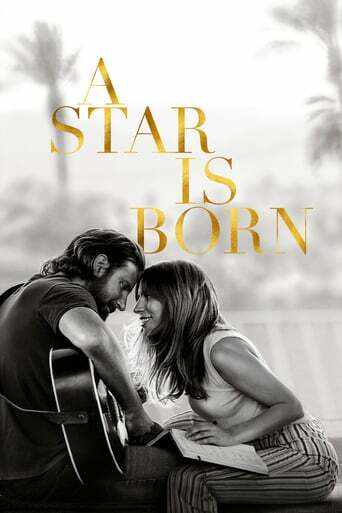 Downloading Seeding A.Star.is.Born.2018.HC.HDRip.XviD.AC3-EVO from to 0 peers.